Kaliber Gaming is excited to announce the HVER RGB Aluminum Gaming Keyboard the newest addition to the hugely successful HVER keyboard family. The HVER models get their name from the open frame design with elevated keys that appear to "hover" above the brushed aluminum chassis. Already known for good looks, HVER RGB builds on the success of the original models adding multi-zone RGB LED backlighting with multiple lighting patterns, plus the ability to set the backlight color to match your other gaming gear*. Like all HVER models, the HVER RGB is designed to provide everything gamers need at a price that won't break the bank. 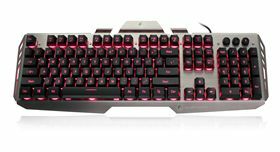 HVER RGB carries on the plunger key design that provides a mechanical keyboard-like feel, and also includes the premium double injected keycaps that deliver a lifetime of performance without the tops ever wearing off. 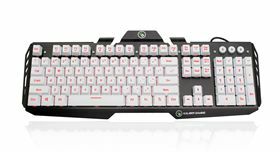 In addition to the standard HVER features like 26 anti-ghosting keys, Windows key lockout and heavy-weight gaming base, the HVER RGB also adds the ability to program individual keys as macros for in-game use or shortcuts to system controls, PC functions, etc. 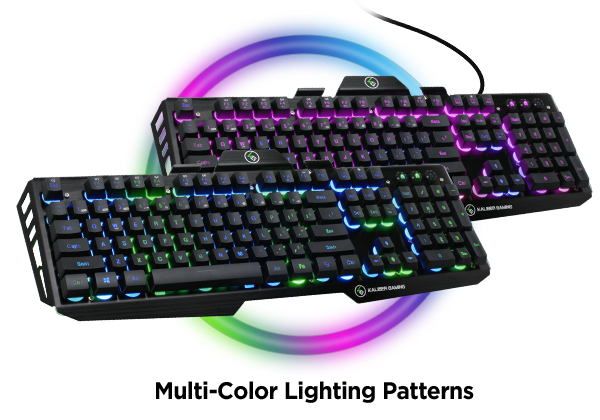 The HVER RGB Aluminum Gaming Keyboard adds a vibrant display of color with 13 different lighting patterns you can change without the need for special software. 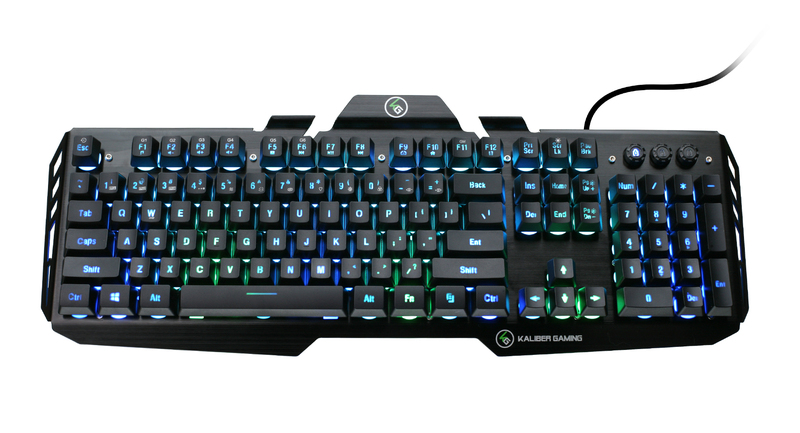 The HVER RGB also allows you to match the lighting of your other gaming gear by setting your custom backlight color from the RGB spectrum, with the help of the Kaliber Gaming software. The HVER RGB features an innovative key structure using low-friction POM plungers that do away with the mushiness typical to membrane designs. 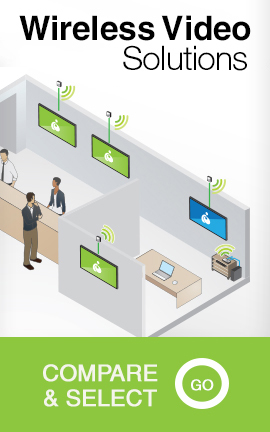 The result is a super-smooth, positive keystroke engagement, similar to the feel of a mechanical keyboard. The HVER RGB features double injected keycap characters which will last the life of the keyboard, without ever wearing off. 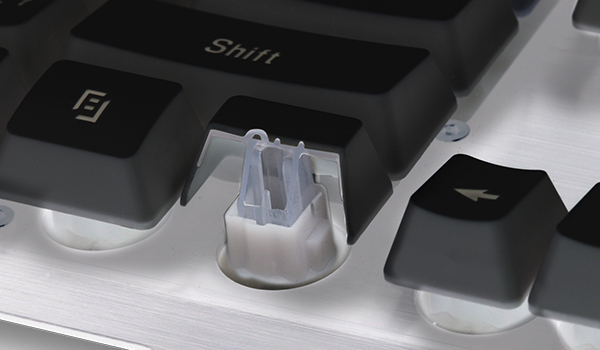 The double injection process means that each key character is first three-dimensionally molded into the key, not printed on the keycap. 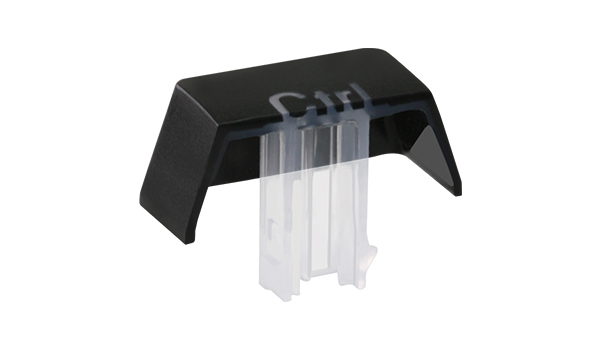 The second injection molds the main outside color material around the character to create a keycap that never wears out. 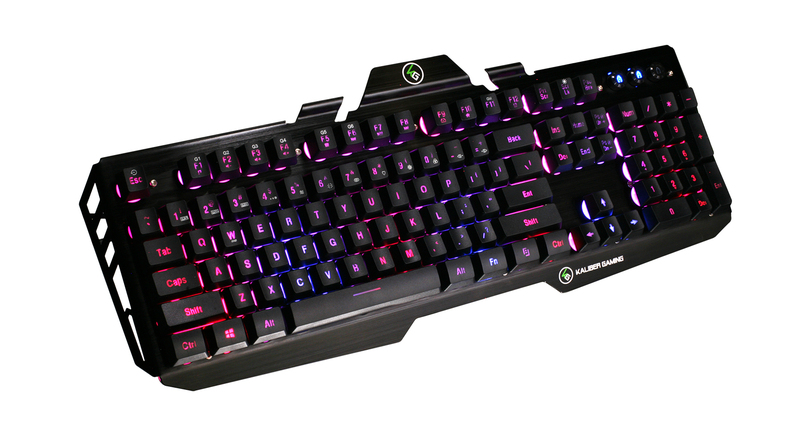 The HVER RGB Gaming Keyboard comes packed with features to take your gaming experience to the next level. 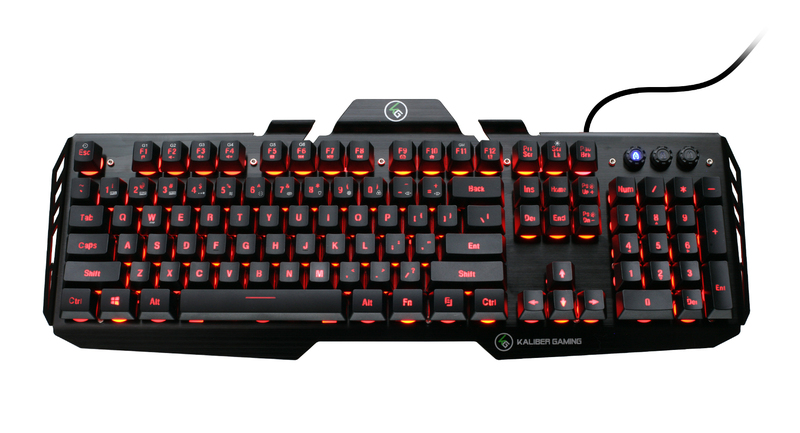 HVER RGB features 26 anti-ghosting keys. 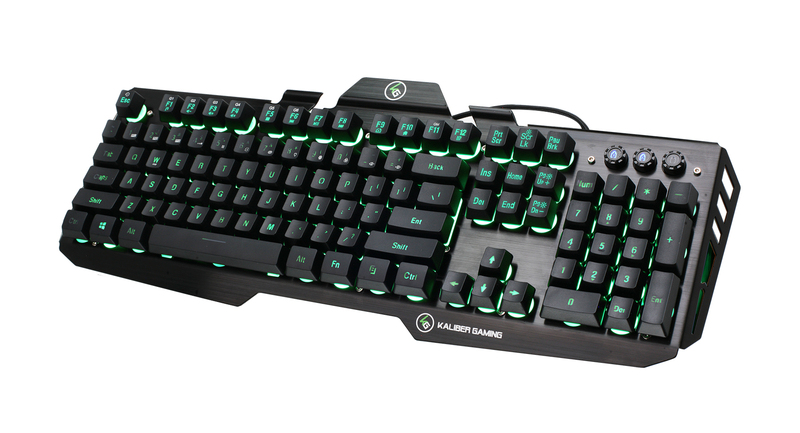 This means that the keyboard will register all your key presses even when you're mashing multiple keys at the same time, especially in those intense gaming sessions. 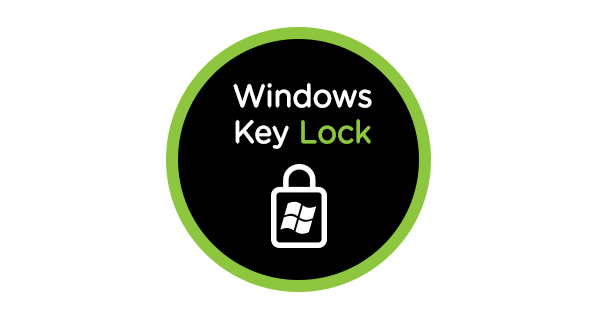 The HVER RGB also has a Windows key lock function that prevents accidentally opening the Windows menu while gaming. 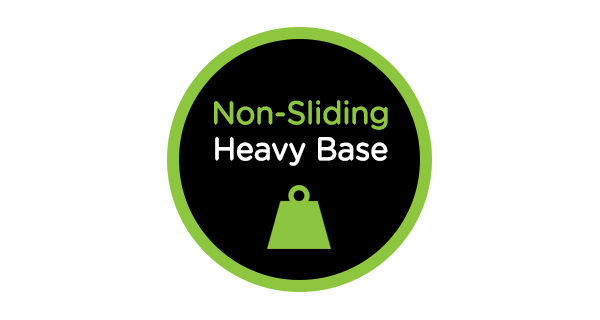 The heavy weighted base also increases keyboard stability while gaming preventing it from sliding during intense gaming. If you've been searching for the best bang for your buck or picking up accessories on a budget, there's no doubt the HVER RGB is the one for you. 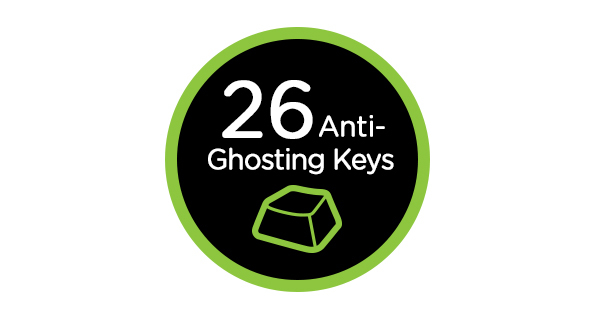 **26 Anti-Ghosting keys refers to the following keys covering most 3-key combinations used in gaming: Q, A, Z, W, S, X, E, D, C, B, R, F, V, T, G, M, Caps Lock, Space, ↑(UP), ↓(Down), ←(Left) , →(Right), Tab, L-Ctrl, L-Shift, L-Alt.